Sharing hopes and dreams for families of persons with autism. # 47 Kamias Road, Quezon City. This month’s facilitator is Ms Tiffany Tan. She serves her second term as member of the board and now, as ASP’s Board Secretary. 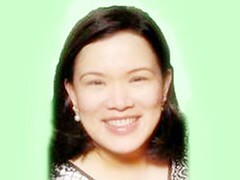 She is the co-founder of SPARKS, a support group for families of persons with autism in Quezon City. Equally active in the autism community is her 18 year old son JR, a college freshman, proudly with autism. The ASP Seminar Series serves as a platform to educate Filipino parents and professionals on the various interventions, modalities and theories surrounding Autism Spectrum Disorder. Learn more about AAC and how it facilitates communication for children who are limited speakers or non-speakers and how it can decrease difficult behaviors. 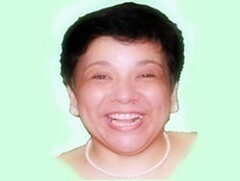 Ms. Grace R. Reyes. Teacher Grace is a passionate educator and learning specialist. 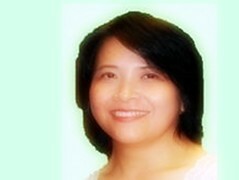 She completed her Masters in Education, Major in Reading from the University of the Philippines. As a co-founder of Bridges Foundation, Inc she functions as its Director for External Affairs, Program Coordinator, and member of the Management Committee. She is also the co-founder, Directress & Program Coordinator of Links Learning Center, a pre-school where students with special needs are trained for mainstreaming. Understand more about the underlying causes of behavior and learn various strategies and techniques in changing inappropriate or non-functional behaviors of our special-needs children. Ms. Barbra Dans-Paguia is Co-Founder of both Bridges Foundation, a school for special needs children, and Links Learning Center, a preschool where special needs students are mainstreamed. Teacher Baba earned her BS Elementary Education with concentration in Special Education and Masteral units in Family Life and Child Development at the University of the Philippines, Diliman. Her 25 years of teaching include being Instructor at UPIS of the U.P. College of Education and Child Development Center of the UP College of Home Economics. Apart from her colorful teaching experiences, she is the author of two instructional Language work books and trainor of teachers in Special and Preschool Education at Bridges Foundation, where she is both Director and Head Program Coordinator. The seminar fee is inclusive of handouts, certificate, and snacks. Their application and implementation of the various interventions, modalities and theories discussed in this seminar are left at the discretion of the attendee. The views and personal experiences of the speakers are of their own and don’t necessarily reflect that of the views of the organization.